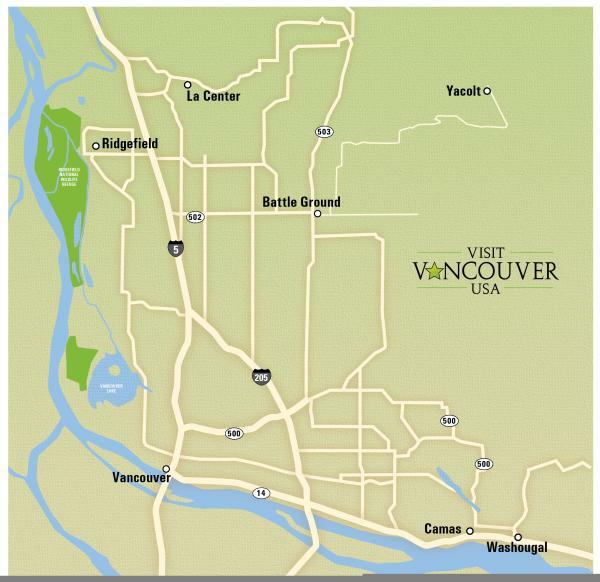 Vancouver may be the largest and most recognizable city in Clark County, Washington, but neighboring towns within county lines encompass hidden gems and contribute unique features to the area. Here is what to do in each bordering region of Vancouver during your visit—all within a half an hour’s drive of downtown. 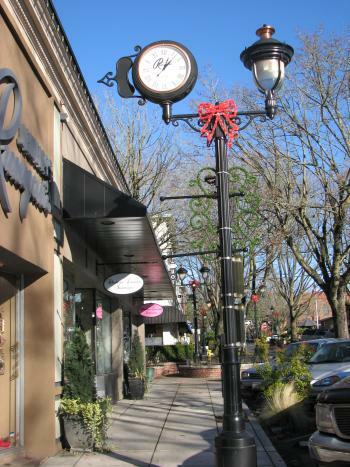 With a quaint Main Street ready to welcome you and a line-up of esteemed chefs inviting you to stay for dinner, Camas exudes small town charm and hospitality. Once known for its paper mill (the high school team name is the “Papermakers”), now Camas is gaining steam. The town was named a finalist for The Small Business Revolution—a national competition television show. Located 15 miles to Vancouver’s east and pushing 25,000 people, Camas has attracted chefs from foodie Portland and inspired locals to open top-notch eateries. On the ground floor of the historic Camas Hotel, Hey Jack emits a laid-back vibe while serving upscale courses like Chicken Arabbiata and Steelhead & Crab for lunch. In the developing 192nd corridor, The Hammond Kitchen and Craft Bar’s modern cozy setting puts you in the mood for “social hour,” featuring seasonal handmade cocktails and small plates. For a premium steak, fresh seafood, and a long whiskey list, head to Feast @316; and visit Nuestra Mesa for unique flavors from Latin American regions. Situated a similar distance northeast of Vancouver, Battle Ground’s history makes for the perfect location for antique stores to set up shop. The “battle” in question dates back to a small military conflict in 1855, but today’s shoppers only need to concern themselves with the battle for the best bargain on Main Street. Seasonal sales and First Friday discounts make Rusty Glamour a strong contender for that title, boosted by its sprawling space dedicated to vintage home décor with a modern touch. Shop antique vendors at Nest Vintage, and visit the dual vintage home décor and craft supply shop at Urban Basics & Company. With a focus on art and gardening, feel el & em’s vibe by walking through the 1902 cottage it calls home. 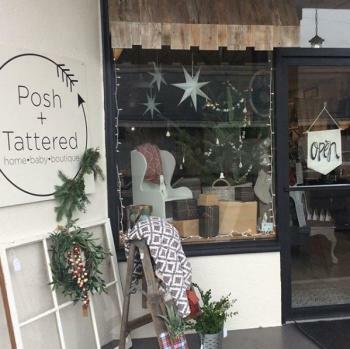 Shops like Posh + Tattered and Bo’s Home Décor carry stylish handmade goods by local artisans. Primed with fertile soil and an ideal growing climate, Vancouver’s sprawling wine scene has expanded into the rolling hills of Ridgefield. At just over seven-square-miles and labeled the fastest-growing city in Washington, Ridgefield is home to six wineries and counting. 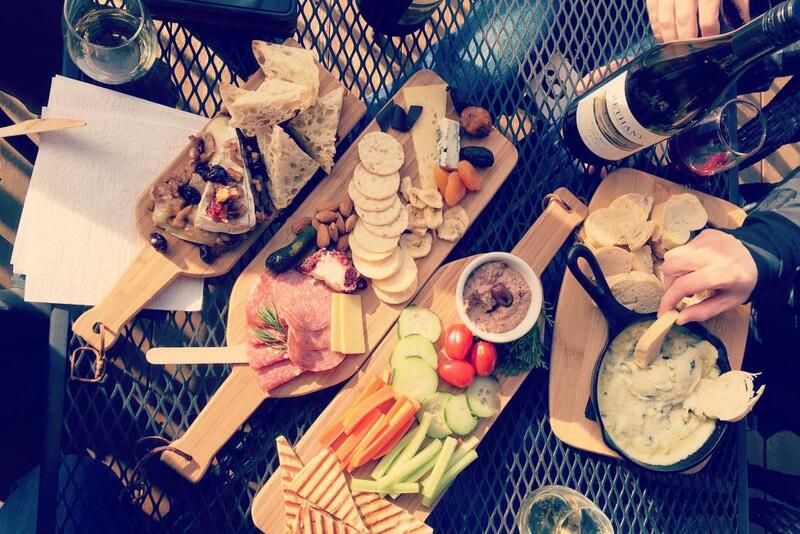 One of the founding Clark County wineries, Bethany Vineyard attracts visitors to its serene floating dock during the warmer months and cozy tasting room in cooler weather. Family-owned and operated, Three Brothers Vineyard has an outdoor picnic area and stage for outdoor concerts and other entertainment. 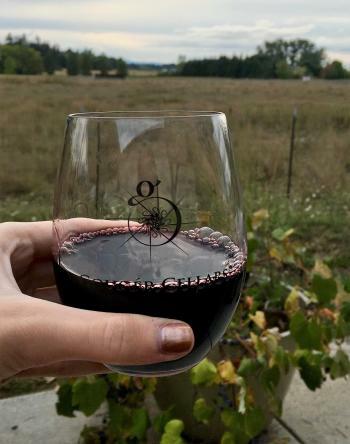 Located in an old firehouse, Gougér Cellars features rooftop seating overlooking three mountains and an alpaca farm. 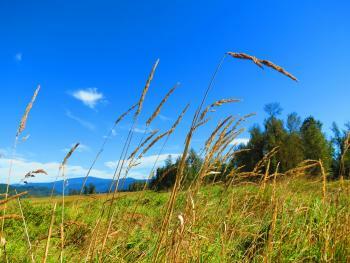 Visit the expansive space and countryside views at newcomer Windy Hills. The farthest east in the county, Washougal serves as a gateway to the Columbia River Gorge. Partially within city limits, you’ll even find a 1,049-acre national wildlife refuge for walking through wetlands (on a dry path) and zoning in on 200 different species of birds. Traveling east on WA-14, the nearest Gorge hike is the Cape Horn Trail (or enjoy the lookout if you don’t want to stray far from the car). Swing back through Washougal post-hike for an Agent Orange IPA or Redemption Red from zombie apocalypse-themed Doomsday Brewing Company. Or visit 54°40&apos; Brewing Company along the railroad tracks, named after the northern latitude boundary of Oregon. For more trip planning ideas, visit our website here.